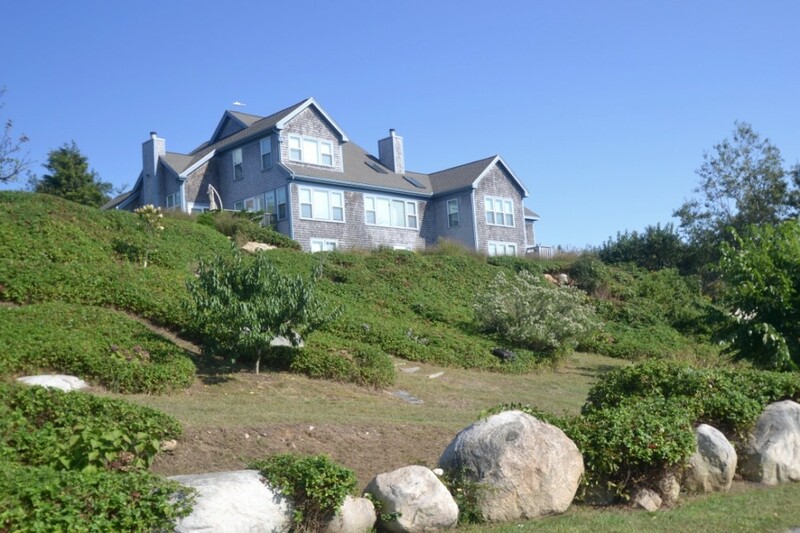 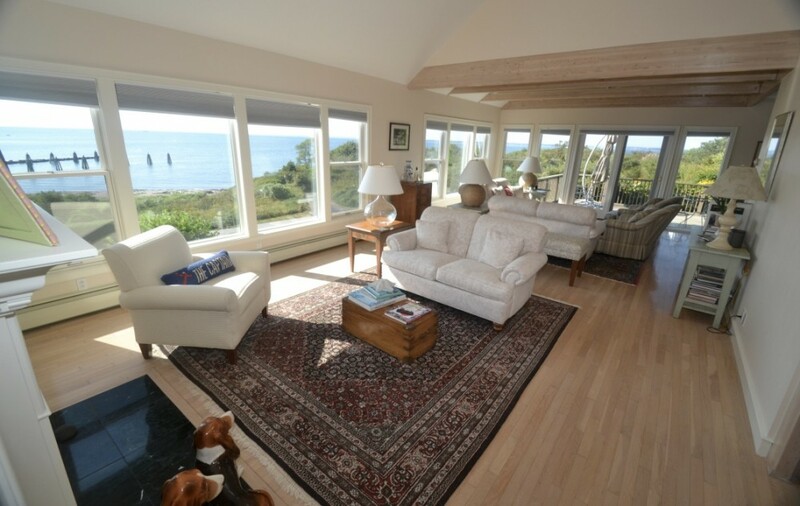 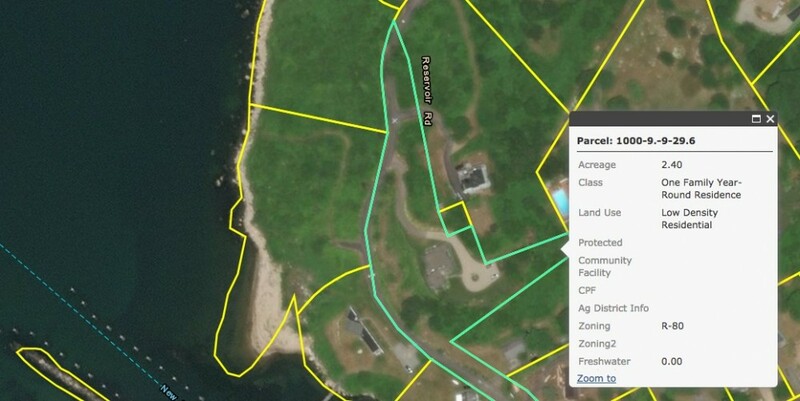 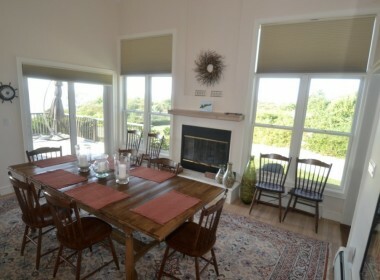 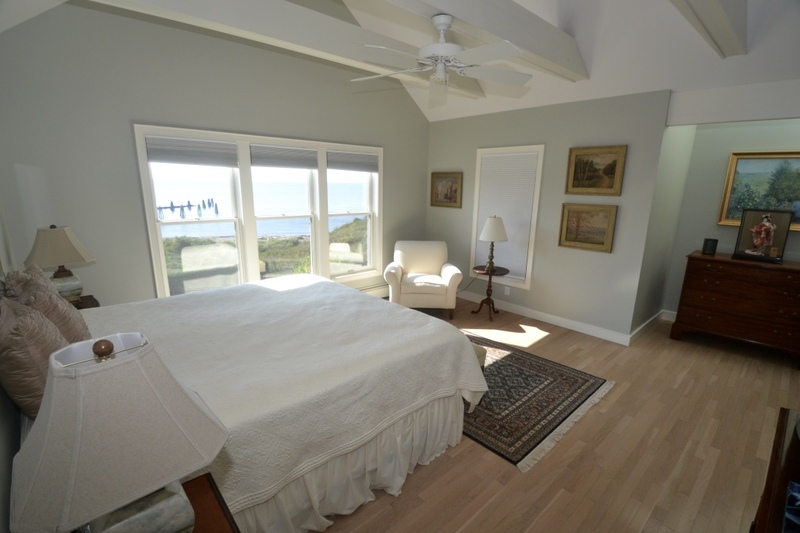 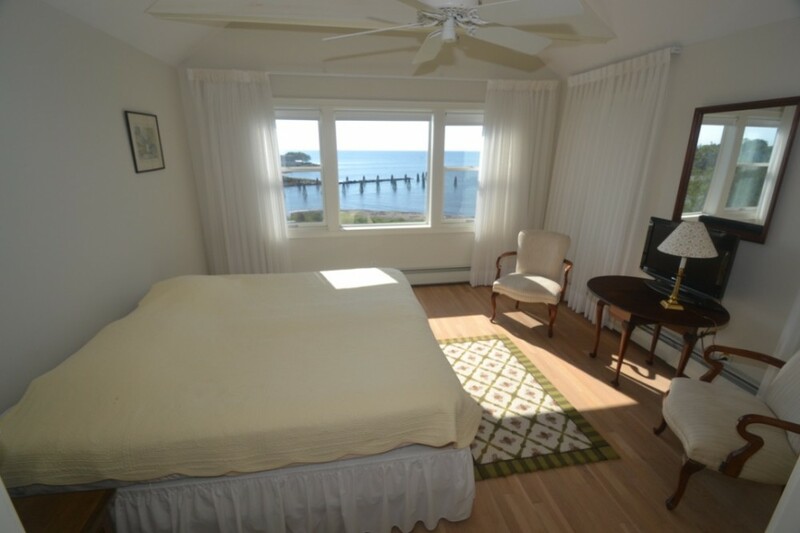 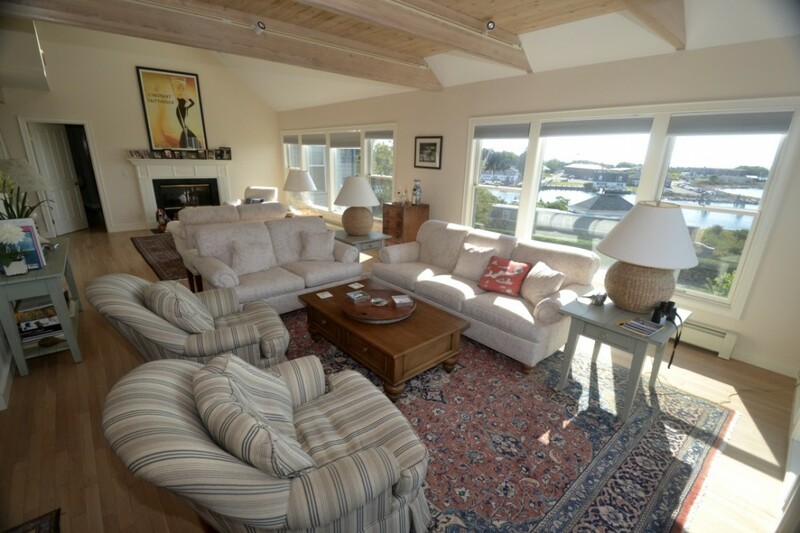 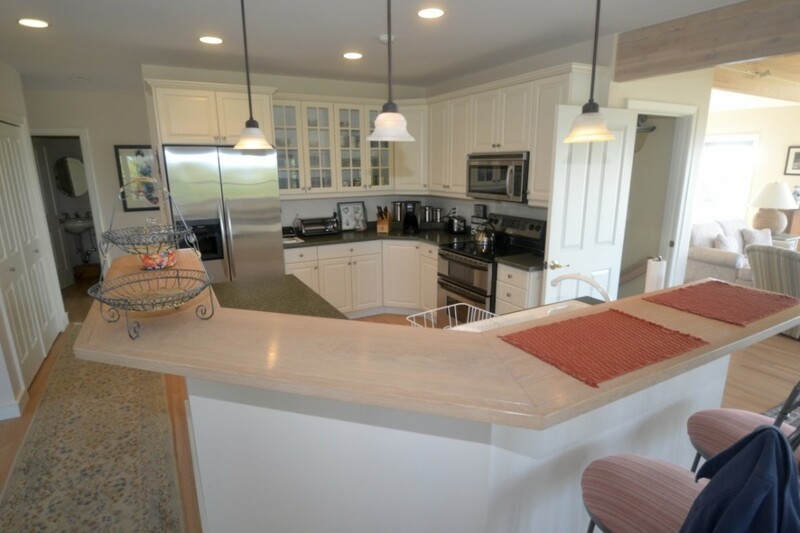 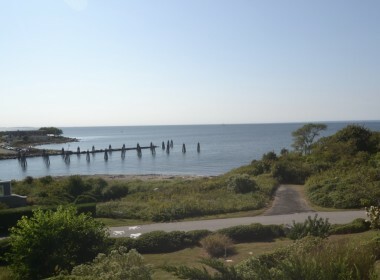 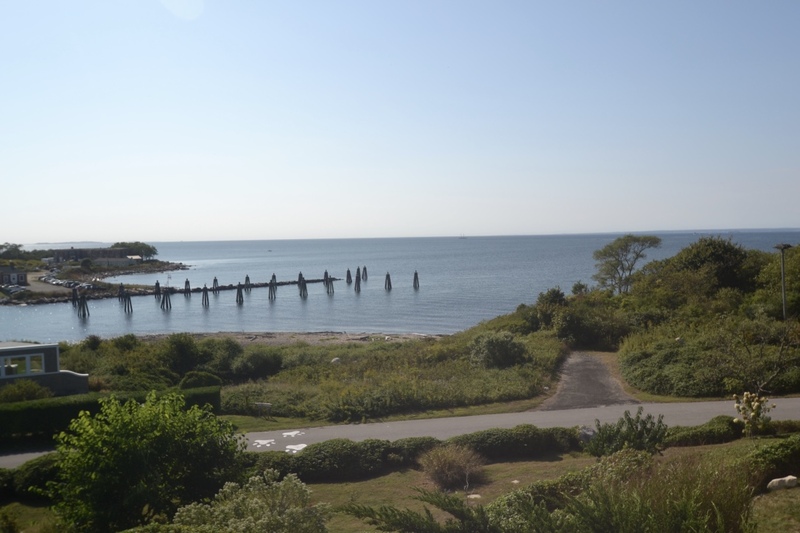 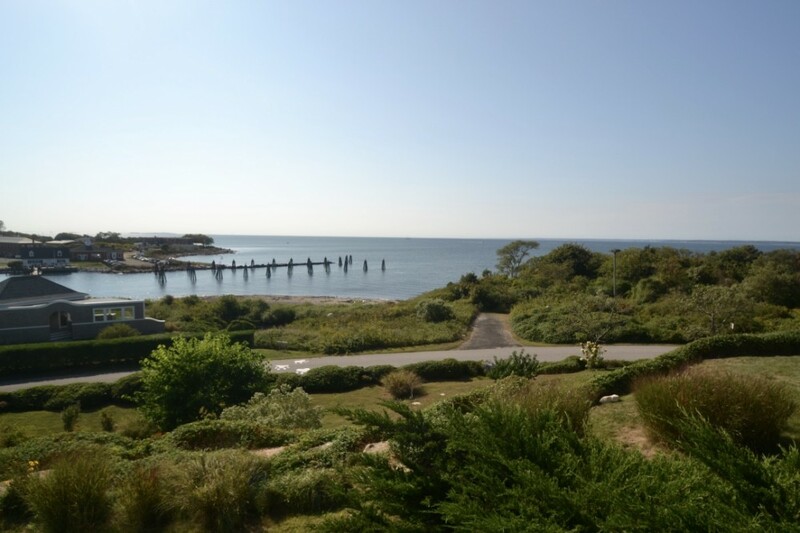 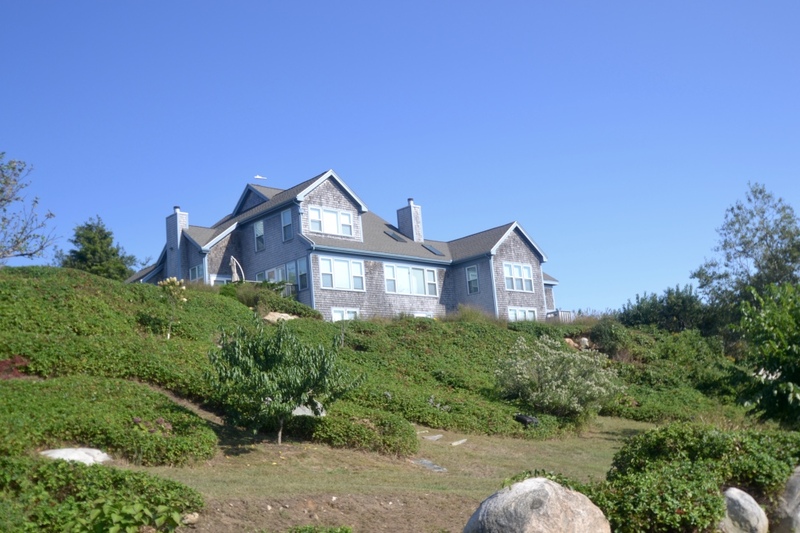 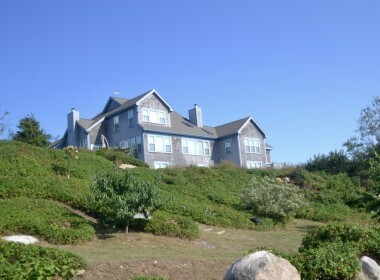 Built in 2003 this 5 bedroom modern house has incredible elevated views over the Fishers Island Ferry dock, The Race and unbeatable sunset views. 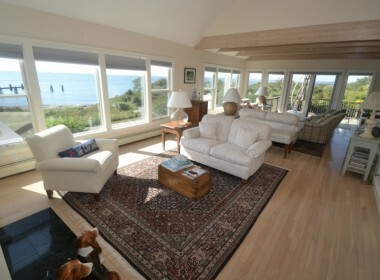 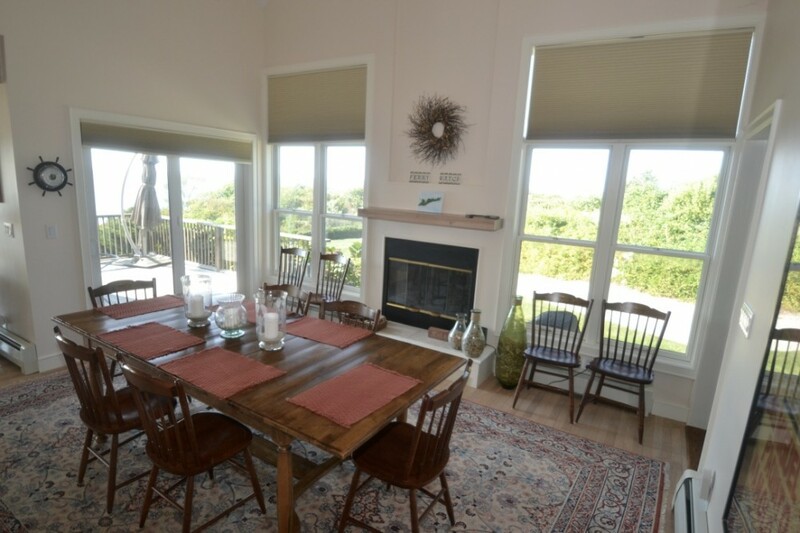 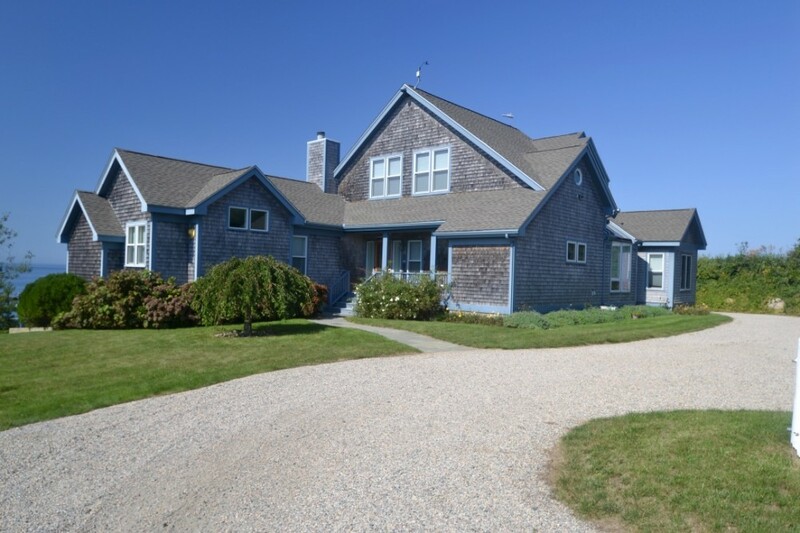 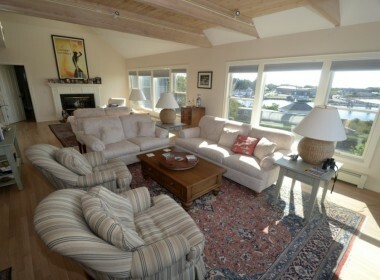 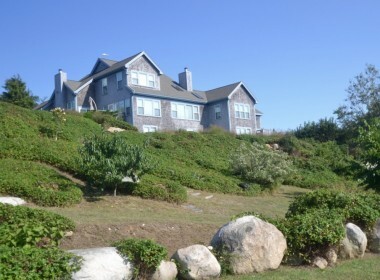 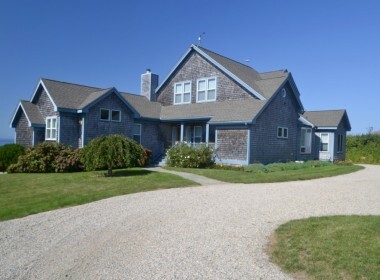 This 4,500 +/- square foot winterized house is on 2.4 acres and has been very well maintained. 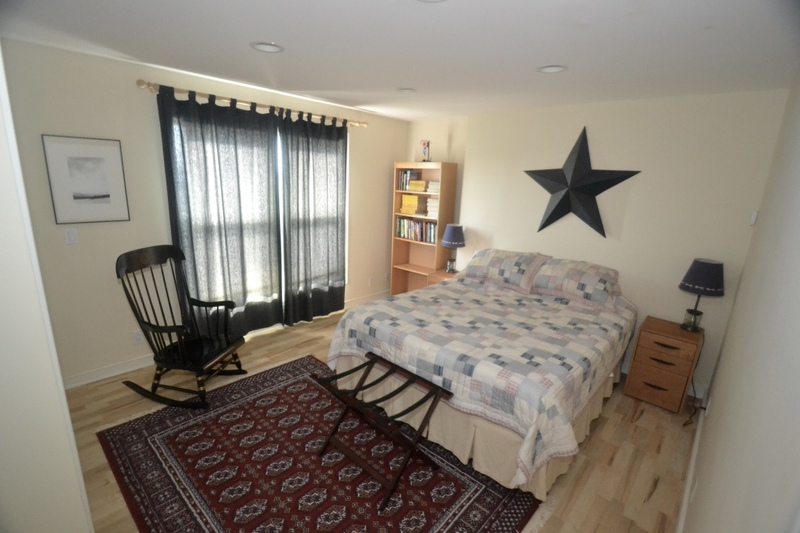 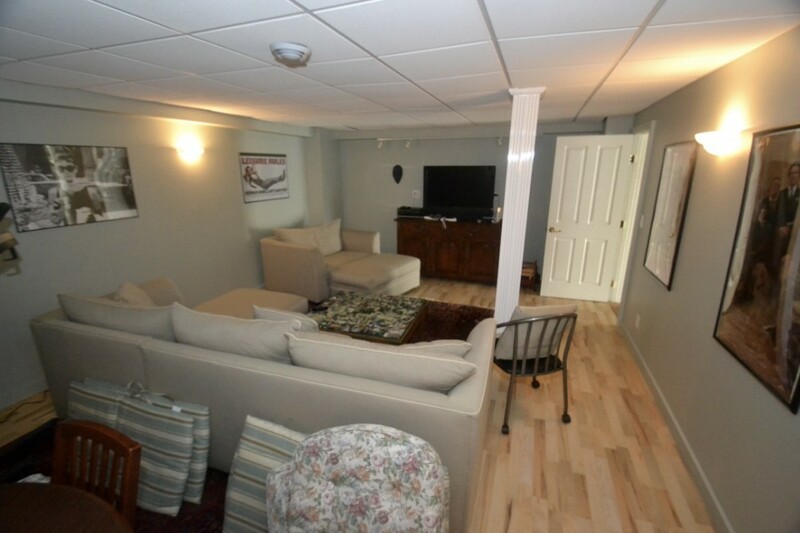 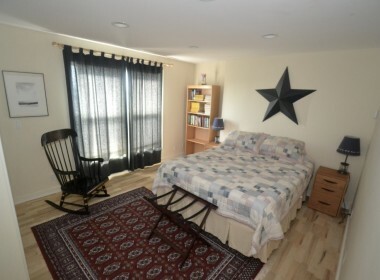 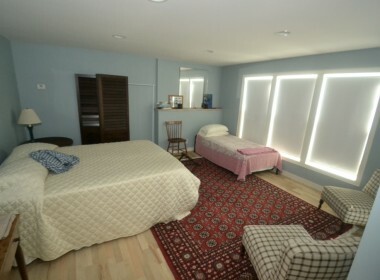 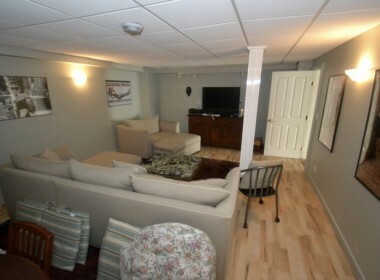 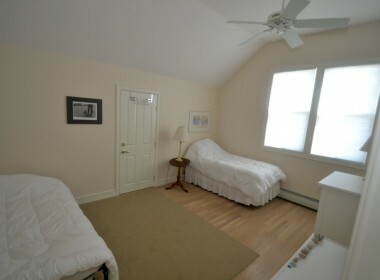 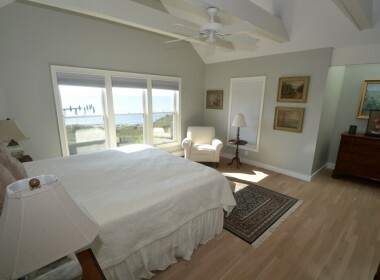 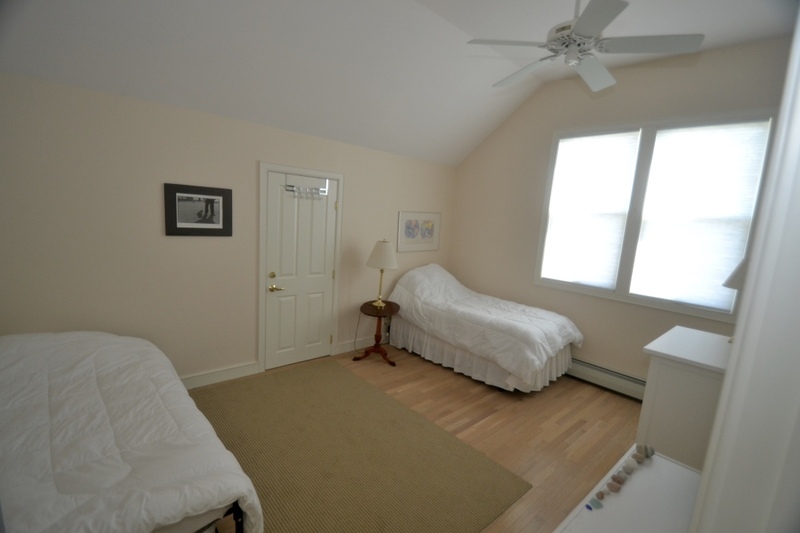 The main floor has a large master bedroom (King) and bathroom and plenty of closet space. 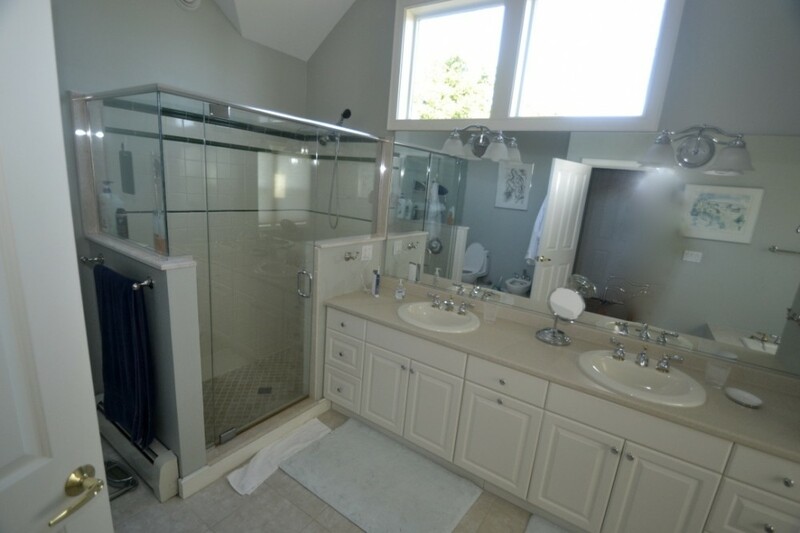 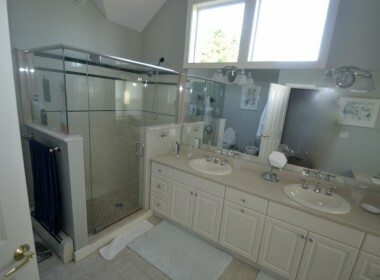 The bathroom has a double vanity, a Jacuzzi tub, bidet, and a large walk in shower. 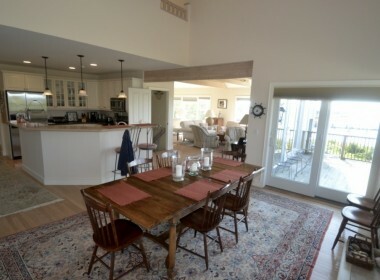 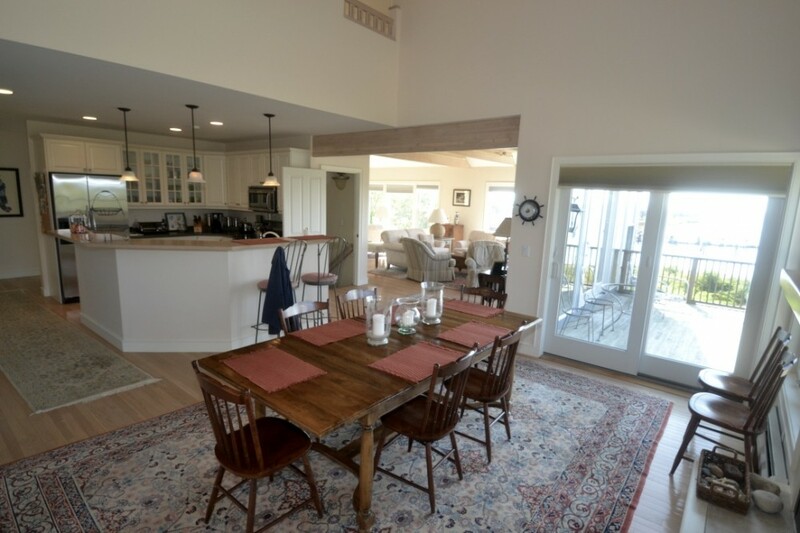 The rest of the main floor has a large living room with two fire places that leads into an open kitchen, dining, sitting area, an office, a half bath and a laundry room. 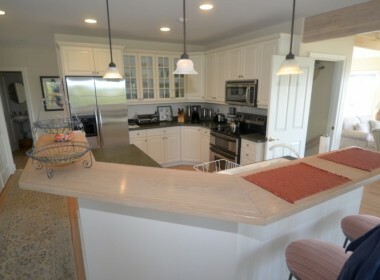 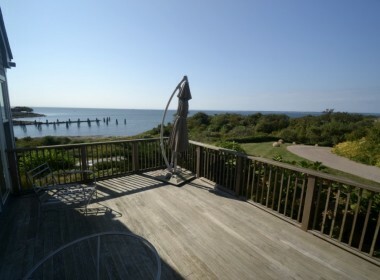 There is also a deck that takes full advantage of views and ideal space for grilling or having a sunset cocktail. 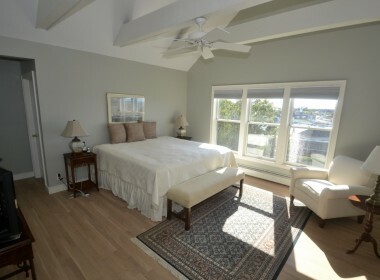 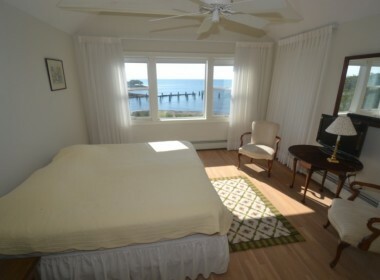 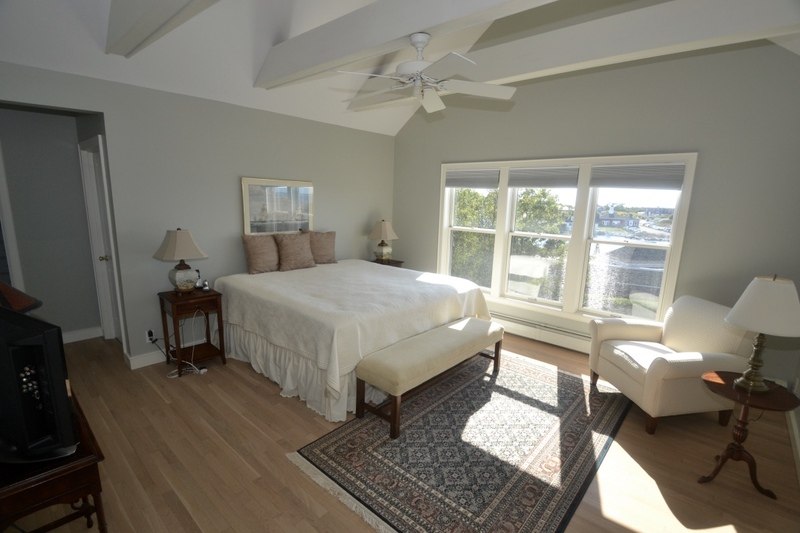 The second floor has two bedrooms (King and Two Singles), one with water views, a full bathroom and additional storage space. 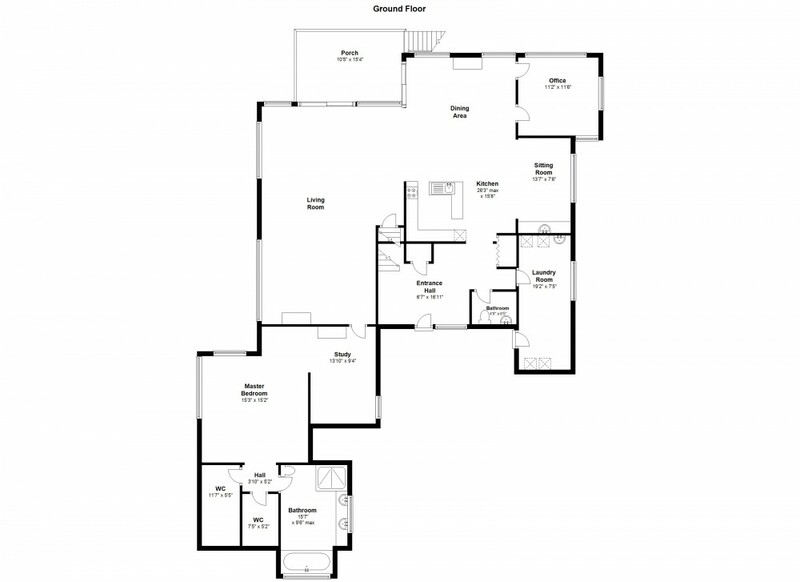 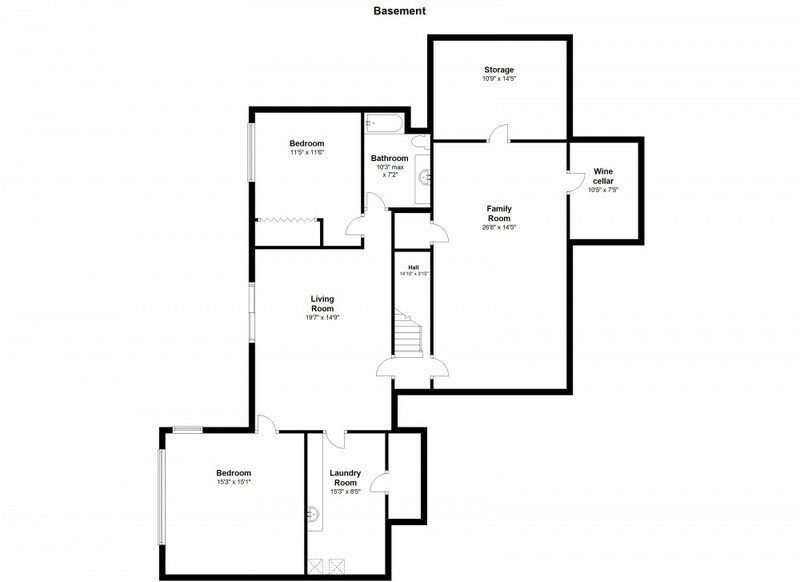 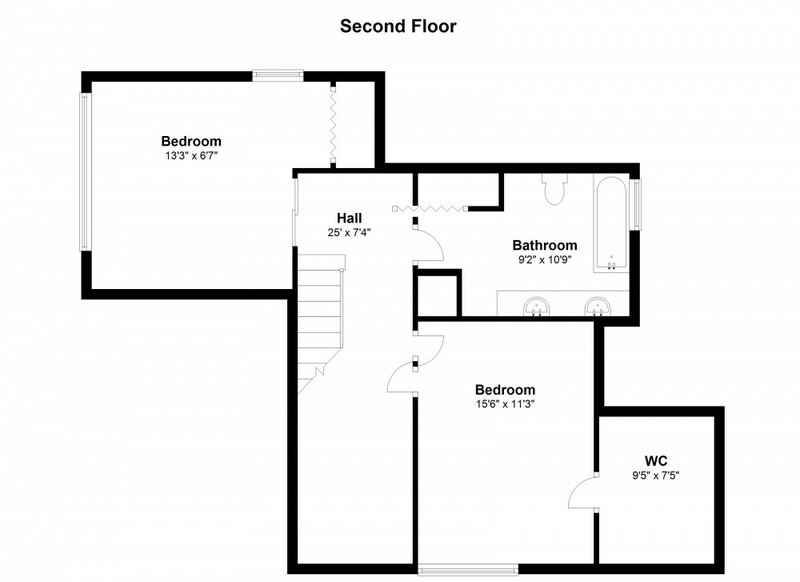 The ground floor has two bedrooms (Queen with a single and a Queen), a full bath, a playroom and a large family TV room. 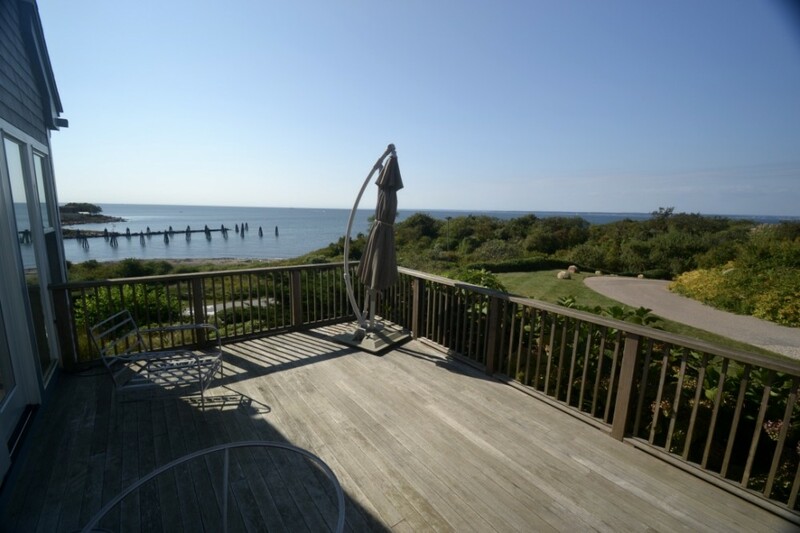 This is an incredible opportunity to rent a well maintained and modern 5 BR house located on the West End with outstanding water views.